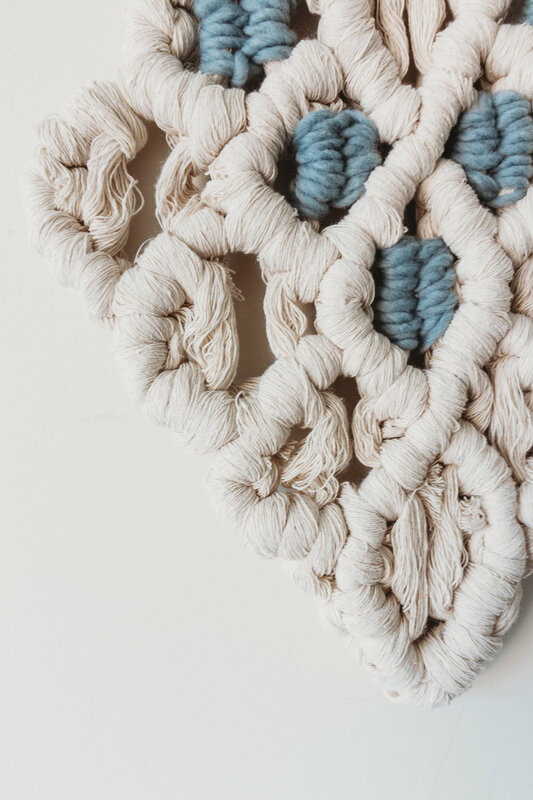 This class is a great way to dive into the world of macrame with complete instructions on how to make a large knotted diamond scallop piece. The class includes diagrams of the basic knots, a pattern to follow, step by step photos and a full video where I show you how to create the piece from start to finish. Important: This purchase does not include any physical materials. Instead, it comes with an exclusive supply list where I reveal the exact materials I use, as well as substitutes that would work well. I include suppliers from around the world, so you can easily order exactly what you need, and create this project as many times as you want! Q: Is this class okay for beginners? A: Because I break down each knot and section (sometimes in slow mo!) it is the perfect challenge for a beginner to learn macrame quickly, otherwise, this project is more of an intermediate level. Q: Where do I get the rest of the supplies? A: Once you purchase and download the class, you will find a link to a supply list with suppliers around the world, and different price points. This purchase is an instant digital download. The video is a private, password protected link, which you will find in the pdf, just below the link to the video. Be the first to hear about new products and get 10% off my subject classes. You will receive a welcome email soon.